As a partner, you will have access to a broad range of programs and services — from training and business development resources to marketing services to pre- and post-sale technical assistance. 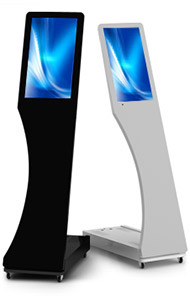 The humanKIOSK line offers sleek, modern designs with bright, eye-catching displays. 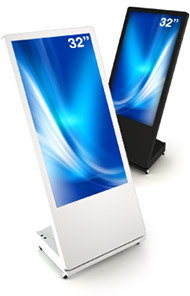 Many models offer interactive screens to engage customers and build brand awareness. With our years of experience, there isn't anything we haven't seen. 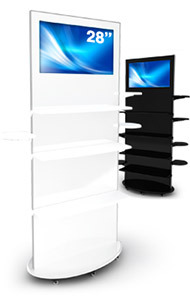 We can work with you on any aspect of selling, installing, training, managing and supporting your customers. Together, we will determine the right amount of support you would like to ensure your success. To keep everything running smoothly, we will back up your customer service team with unlimited support calls and training for your team. A happy customer is a repeat customer. Yes I agree to receive email notifications from Corum Digital and its affiliated brands. 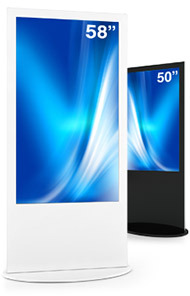 Adding digital signage is a great way to increase brand awareness and increases customer engagement. If you are looking to start or expand on your visual communication needs, please send us an email or give us a call. 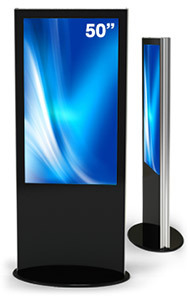 Corum Digital Corporation continues to differentiate itself through the continuous innovation of user-centric solutions for the digital signage industry. humanKIOSK® Copyright 2018. All rights reserved. A Corum Digital Corporation brand. Please enter your name and email to request a brochure.